Conveniently located in the Baltimore/Washington corridor off Route 29 in Columbia, Maryland, Merriweather is nestled within the 40 preserved acres known as Symphony Woods. The natural, outdoor concert setting is one that simply can’t be matched. For more than 35 years, Merriweather has hosted a diverse range of artists and events, offering a variety of contemporary entertainment. Merriweather was originally designed by world renowned architect Frank Gehry in the early 1960s. At the time, its acoustics were considered by many in the industry to be the best among outdoor venues. 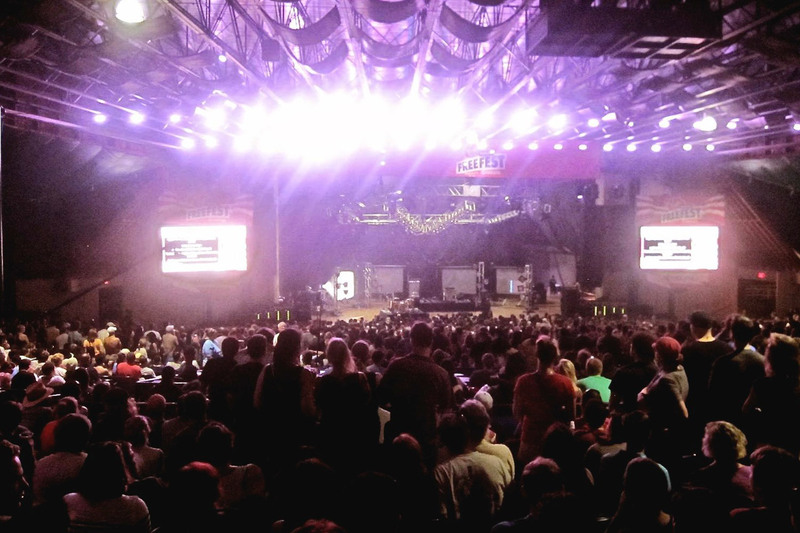 To refresh and maintain the acoustic standard that had been set over three decades ago, Merriweather brought in WSDG to evaluate and implement improvements. 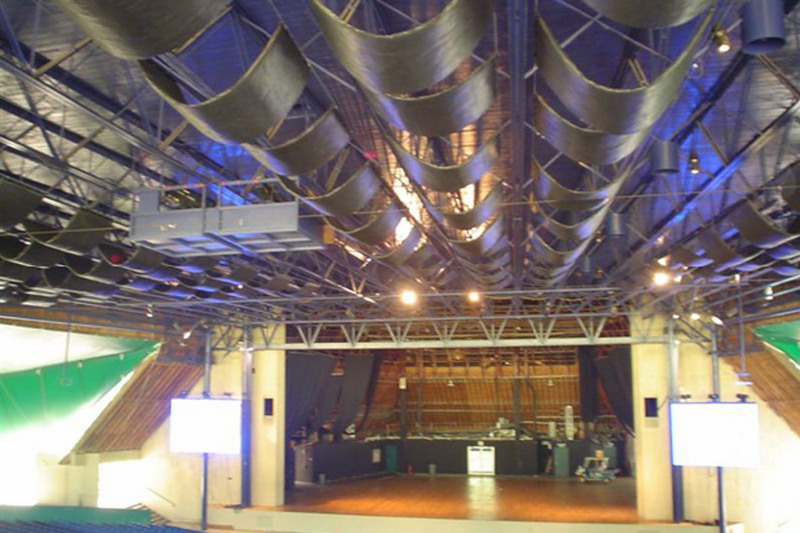 John Storyk and Co. completely redesigned the venue’s ceiling, among other things, offering a non-intrusive and artistic solution to low frequency absorption. In designing the solution, WSDG was careful to maintain an open and natural feeling in keeping with the facility’s exterior. Visit the Merriweather Post Pavilion website.